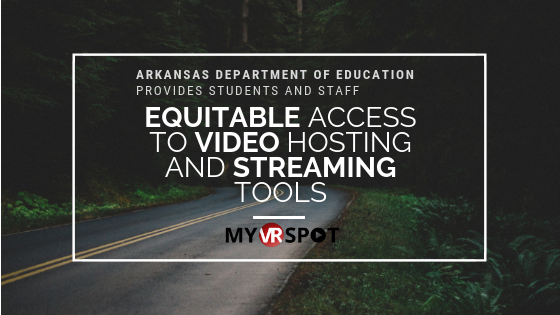 The Arkansas Department of Education (ADE) provides all ADE students and staff equitable access to MyVRSpot’s full suite of technology tools. Branded in Arkansas as the Arkansas Digital Sandbox, users have unlimited access for multimedia hosting to live streaming to digital signage and closed captioning. MyVRSpot also continues to develop other technologies as the wide-ranging needs of the ADE grow. Customer Care radiates from the MyVRSpot leadership and their teams–from simple support emails and training webinars, to on-site workshops. I interviewed Daniel Collier, Technology Projects Coordinator with the Division of Research and Technology. “While we purchase the MyVRSpot solution on a statewide basis, the Division exposes administrators and teachers to all the different systems that are free for them to access and use,” Daniel explained. Daniel naturally became the MyVRSpot’s representative for the state. In his own role, he was creating copious levels of professional training videos and resources. “We use MyVRSpot to solve our own department problems and to make our jobs easier. We’re happy that it makes us more effective, but we also want to promote it to other administrators and teachers,” he concluded. The ADE contains 15 Education Service Cooperatives, about 250 school districts, more than 33,000 teachers, and around 480,000 students. MyVRSpot accounts are available to any staff members, educators, or students within those groups. “As I talk to educators and education professionals in the schools and districts, I tell them about the flexibility of the MyVRSpot tools,” stated Daniel. “Create a webpage using MediaSpot and stop waiting on the webmaster.” Daniel has many MediaSpot pages so he can quickly update videos and content on web pages throughout the ADE site. Create an HTML page, embed it into the website, and bypass the webmaster. 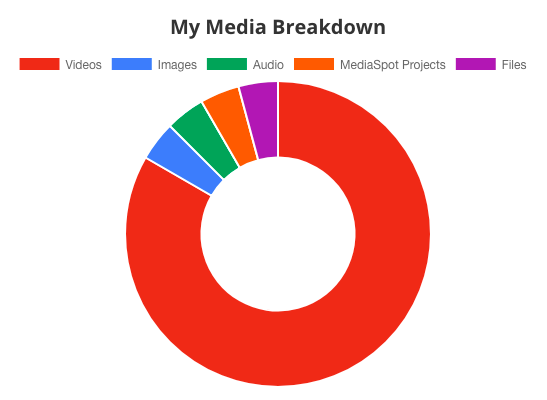 “The MediaSpot projects tool is especially helpful for administrators,” stated Daniel. Communicate internally or externally with Live Streaming, Digital Signage, and Video Showcase. “Little Rock School District sets up a tripod with an iPad, the student sits at their news anchor desk, and they read the announcements for the day,” described Daniel. Stream board meetings, special events, or use streaming in other creative ways. Some of Arkansas school administrators are testing Digital Signage, referred to as SmartSigns within the MyVRSpot system. With the signs, administrators can easily inform students and staff of events, daily schedules, and even pair their MyVRSpot live streaming to their signs. Finally, Video Showcase beautifully displays video files on a website, without the cumbersome coding process. Add and remove videos from the website, directly from your MyVRSpot account, with just a couple clicks of the mouse. “MyVRSpot sets themselves apart from other vendors with their response to feature requests. Many vendors reply to our features requests saying, “Yes, of course, but it’s will cost you a steep price.” MyVRSpot will often complete the feature request, but they don’t come back with a bill,” explained Daniel. ADE inspired a few of MyVRSpot tools including Single Sign-on (Active Directory or LDAP), Group ownership of content, and Electronics Records Retention. While MyVRSpot integrates with any district’s AD/LDAP system, they took on the challenge of integrating with Arkansas’ statewide LDAP. “The Active Directory feature reduces the work for ADE and the districts. This is just one of the ways that MyVRSpot helps us to be more effective and efficient with our jobs,” delighted Daniel. Teachers and administrators can create groups, and anyone can join or request to join a group. This is useful to share content ownership or to keep a group of users informed. And finally, MyVRSpot is developing a feature for Electronic Records Retention. “You’d be surprised by the number of records stored in a file box. What happens to those documents when there’s a fire or someone sets off the fire sprinklers?” pondered Daniel. “We’ve been talking about developing a separate area of MyVRSpot that has high-level privacy and very limited access,” he described. “The level of MyVRSpot service is different from what we expected and surpasses most other vendors,” said Daniel. MyVRSpot’s Customer Care resonates through emails to and from Support, on-site workshops, as well as online webinars. Though the ADE is one of MyVRSpot’s larger clients, we guarantee top-notch service to all our partners. We pride ourselves in our wide range of video and multimedia hosting and technology tools. What’s more, research and development never ends. We aim to meet the unique technology needs for all of our clients in the education industry.